Tom Thumb! Taxidermy, Hair Art and Bat Skeleton in Dome Workshops! Bartitsu-The Victorian Self Defense System Demonstration! Rest in Pieces Book Party! This Week and Beyond at Morbid Anatomy Presents. 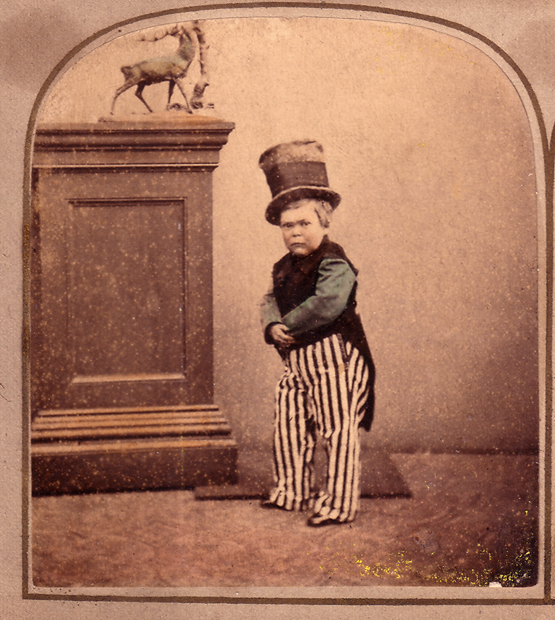 Charles Sherwood Stratton (1838-1883), better know to the world as General Tom Thumb, was a dwarf, an entertainer, and one of the most famous Americans of the 19th century. His success in the United States transformed the traditional exhibition of lusus naturae, or human wonders, into a flourishing commercial industry. This presentation explores what made the diminutive General such a sensation and traces his fascinating career from the boards of Barnum’s American Museum through his celebrated tour around the world. Matthew Wittmann is a Curatorial Fellow at the Bard Graduate Center, the author of Circus and the City: New York, 1793-2010 (BGC, 2012) and co-editor of The American Circus (Yale, 2012). He is a graduate of the Program in American Culture at the University of Michigan and is working on projects that range from popular entertainment to Pacific history. He blogs about these assorted interests at www.matthewwittmann.com.